Now's the time to fix yourself a cup of tea or fetch a pint of Ben and Jerry's and look over this index, below. As a special incentive, if you "comment" below on your favorite pick or make your own addition or category by March 31st , U.S. residents will be entered in a random drawing for the new unabridged Listening Library undabridged audio version of VIVE LA PARIS, narrated by Tichina Arnold (of Everybody Hates Chris fame!) on CD, a $38.00 value! 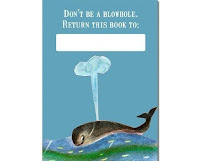 And if you need bookplates for your new acquisitions, shop with Esme at One Good Bumblebee (the "don't be a blowhole, return this book" plate kills me!) and the super snazzy personalized retro plates at The Paper Princess make amazing gifts for booklovers or baby showers. Both purveyors are from Etsy, oh, the joys of shopping handmade! I have to confess, though, my standard is still the Aliki "Sharing" plate from Kidstamps, who also have rubber stamp plates, and then there is the insane dream-come-true website My Home Library with gorgeous downloadable bookplates designed by primarily British illustrators, like Quentin Blake and Tony Ross and Brian Wildsmith! I kid you not! So go look, and come back! For your convenience, I have added links to my review or Amazon (I actually evaluated more books than I was able to review this year, though I will try to continue to write them up). Keep in mind, I link to Amazon because it is such an amazing clearinghouse of reviews and information, but it's always a good idea to support your local independent bookseller, because then you are supporting your own community! I also played a little catch-up, and those books are so marked; you can see a complete list of 2006 PlanetEsme Picks and even further back at planetesme.com. I'm glad PlanetEsme can be a place where the door to finding the right reader is always open, whatever the year of book publication. Thanks again for your patience and support this past year, and for all of the years! I look forward to what 2008 has in store...titles have already arrived, been read aloud and are queued up for review, so I hope you'll check in again. Happy reading, everyone!!! Girl reading in library clip art by Mark A. Hicks, via Discovery Education. Hello, friends! Just a quickie note...I've been having some trouble with my internet connection, and now I will be out of town and sans computer for a week! When I get back, I will have a list of the best books of the past year, so check in! Meanwhile, Happy St. Paddy's! 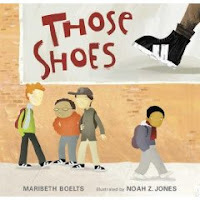 You can read both of these books, and let someone else walk a mile in your moccasins with the fabulous Soles for Souls initiative, just the kind of drive kids can jump into with both feet! 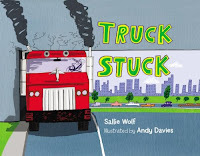 Looking for more great children's books from around the world? Check out the snazzy site at Shen's Books, dedicated to quality multicultural children's literature, Mitali Perkin's multicultural Fire Escape (oo, her fabulous RICKSHAW GIRL is finally available in paperback; I think I need a classroom set of thirty!) and the thoughtful annotated multicultural bibliographies made available by author Cynthia Leitich Smith. Remember, one of the joys in reading is finding yourself reflected in books; the other joy is making "friends" and visiting places far removed from your own experience! 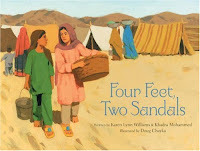 Multicultural literature offers both! 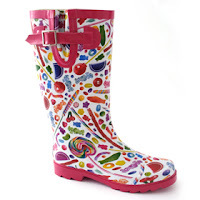 Just in time for the mud season, these Candy Toss Rain Boots from Dylan's Candy Bar in New York really go with anything, I think! Besides children's literature, one of my great passions in life is celebrating the proud local traditions of children's media in Chicago (read THE GOLDEN AGE OF CHICAGO CHILDREN'S TELEVISION by Ted Okuda and Jack Mulqueen for an awesome look at what I'm talking about!). 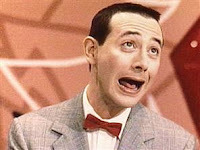 Being a children's book author and a teacher is terrific fun, but my dream is life is to someday have a read-aloud radio show, and then work up the gumption to pitch a show for my favorite local station, WCIU, in the style of, like, if my idols Dinah Shore and Pee-Wee Herman mated, and had me. Note to self: bring disco ball to the library! One good laugh deserves another, n'est-ce pas? As Shel Silverstein noted in his poem "Helping," "...some kind of help is the kind of help/That helping's all about,/And some kind of help is the kind of help/We all can do without." Apparently, Squirrel never read Shel Silverstein. Squirrel was busy, busy, busy. He had to help his tree. "Grow, grow, grow!" cheered Squirrel. He had to help the river. "Flow, flow, flow!" He had to help his friends. "Got to go. Got to go. Got to go, go, go!" 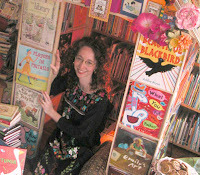 Oh, talented picture book authors and illustrators make it all look so easy, don't they! 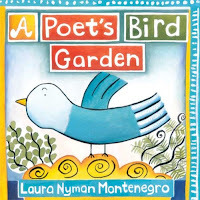 It is really a craft, which, if you live in the Chicago/Evanston area, you can hone by taking classes with author/illustrator Laura Montenegro. Her "Intuitive Suitcase" classes start Tuesday evenings from 7-9 p.m. or Wednesday evenings, 7-9 p.m. starting next week. 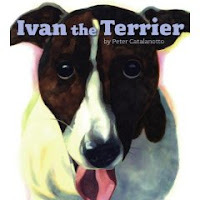 In it, "you will develop a picture book dummy using your own blend of story creation, illustration, and book design. The dummy is your 'plan" and every publisher likes to see one when you submit your book....Far surpassing the singular arts necessary in the makin of picture books: illustration, story writing and book design, the book dummy invites the artist to combine all three." True dat, Laura! The author of several beautiful books herself, she has a lot of insight into both the artistic process as well as the business protocol. I have not taken the class myself, but sent friends and heard rave reviews ("I thought I would be self-conscious, but she made me brave about trying my art," "it was nice to leave with something I could really use") and, really, who couldn't use an intuitive suitcase? E-mail her at lauramontenegro(at)sbcglobal(dot) net (pardon the cryptic addy, trying to save her some spam) for a PDF of her pretty flyer with full details. And if you are an author/illustrator novice, make sure you check out membership in the Society of Children's Book Writers and Illustrators (SCBWI), a private organization that offers premier opportunities for professional growth and community around the country. I am not a "joiner," but writing coach, author and regional advisor Esther Hershenhorn was very persuasive, and it was one of the best decisions I ever made; the Illinois chapter is off the hook when it comes to on-line encouragement, special events and general celebration. Hope these links are helpful in creating the next chapter of your picture-book perfect writing life! New feature: Shop with Esmé!